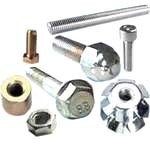 This Website describes industrial fastener in China.Wenzhou Nanlong Import&Export Trading CO.,LTD. 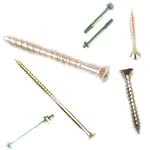 (China)-There are General kinds(e.g screw ,nuts,bolts),other general kinds(e.g.Flat washer,Split pin,Spring washer),General Screw(Drywall screw, Chipboard screw,Set screw,Self-drilling tapping screw ,Pan head tapping screw,Machine screw,Flat head tapping screw),Non-standard fastener.And the the material are stainless steel (TP304-18-8,316,316L,310S.309S..317L.347H,904L(UB6)...),carbon steel (C1018 C1022),alloy-steel(Astm A193 / A193M B7,ASTM A194/A194M 2H,ASTM A325,ASTM A36,ASTM A513 Type 5/ASTM A519),aluminium( 6061-T6 ,2024-T4), aluminum alloys,brass, (GR2,GR5), Inconel,hastalloy and so no.Welcome to surf this navigation webpage,and you could go further and get more information about each product. 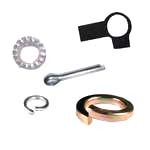 DIN Fastener-Cap nuts,DIN Fastener-Castle nuts,DIN IndustrialFastener-Clevis pins,DIN Fastener-Clevis pins,DIN Fastener-Knurled nuts,DIN Fastener-Shim rings,DIN Fastener-Slotted head screws,DIN IndustrialFastener-Square head bolts,DIN Fastener-Square nuts,DIN Fastener-Tapping screws,DIN Fastener-Thread forming screws,DIN IndustrialFastener-Washers for use in structural steelwork,DIN Fastener-Weld nuts,DIN IndustrialFastener-Weld screws,DIN Fastener-Wood screws,DIN IndustrialFastener-Cross recessed head screws,DIN Fastener-Double end studs,DIN IndustrialFastener-Pins,DIN Fastener-Nails,DIN IndustrialFastener-Hexagon head bolts and screws,DIN Fastener-Hexagon head bolts and screws for use in DIN-Structural steelwork,DIN IndustrialFastener-Drilling screws with tapping screw thread,DIN IndustrialFastener-Split pins,DIN Fastener-Plain washers,DIN Fastener-Hexalobular head bolts,DIN IndustrialFastener-Prevailing torque type nuts,DIN IndustrialFastener-Sepcial washers,DIN Fastener-Miscellaneous bolts and screws,DIN Fastener-Miscellaneous nuts,DIN Fastener-Retaining rings,DIN Fastener-Keys,IFI Fastener-Break Mandrel Blind Rivets,IFI Fastener-Break Mandrel Closed End Blind Rivets,IFI Fastener-Flange 12-Point Screws,Hardened Stell Washers,IFI Fastener-Hex Coupling Nuts,IFI Fastener-Forged Eyebolts,IFI Fastener-Hex Flange Nuts and Large Hex Flange Nuts,IFI Fastener-Hex Flange Screws,IFI IndustrialFastener-Large Size Heavy Hex Screws,Lock Washers,IFI Fastener-Locking Fasteners,IFI Fastener-Muti_Grip Flush Break Pull Mandrel Self-Plugging Blind Rivets,IFI Fastener-Nuts for Track Bolts,IFI Fastener-Plain Washer,IFI Fastener-Plow Bolts,IFI Fastener-Pull Through Mandrel Blind Rivets,Slotted Head Cap Screws,Small Solid Rivets 7/16 In. 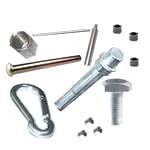 Nominal Diameter and Smaller,Square and Hex Bolts and Screws,Square and Hex Machine Screw Nuts,Square and Hex Nuts,IFI Fastener-Square Head and Slotted Headless Set Screws,IFI IndustrialFastener-Stdus and Bent Bolts,IFI Fastener-Structural Flush Break Pull Mandrel Self-Plugging Blind Rivets,IFI Fastener-Structural Splitting Self-Plugging Pull Mandrel Blind Rivets,IFI Fastener-aper Pins,IFI Fastener-Dowl Pins,IFI IndustrialFastener-Straight Pin,IFI Fastener-Grooved Pins and Spring Pins,IFI Fastener-Threaded Projection Weld Studs,IFI IndustrialFastener-Thumb Screws and Wing Screws,IFI IndustrialFastener-Track Bolts,IFI IndustrialFastener-Wing Nuts,IFI Fastener-Wood Screws,IFI Fastener-Machine Screws,IFI Fastener-Round Head Bolts,IFI Fastener-Socket Screws,IFI IndustrialFastener-Structural Bolting,IFI IndustrialFastener-Tapping Screws .